LeadGnome is an Account Based Intelligence web service that integrates with three HubSpot products - Sales Hub, Marketing Hub, and the HubSpot CRM. This integration will mine auto-replies to your email campaigns for new information about your contacts. 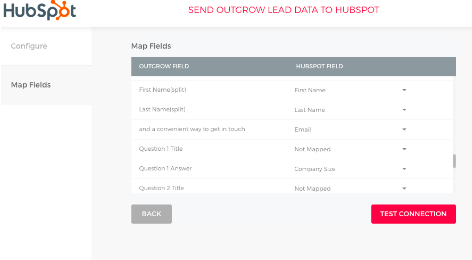 New contact information will automatically update in your HubSpot CRM. LeadGnome can also sent alerts to your HubSpot team and trigger workflows. 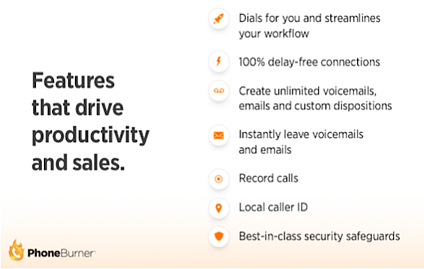 Phoneburner is a product that enables you to quickly and easily dial your contacts upwards of 433% faster. Dialing can be done on any phone and call results are automatically synced back into your Hubspot account. As a sales rep, you don’t want to spend any more time than you have to on repetitive tasks. 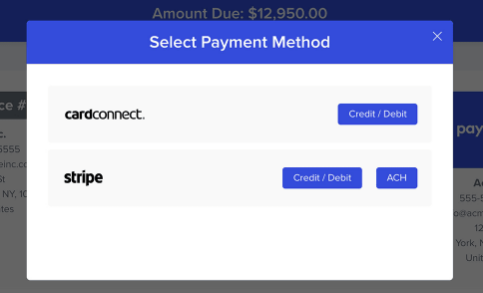 Automating basic actions like call dialing, leaving voicemails, and note recording can help you focus on the creating more sales opportunities and closing deals to hit your number. As a marketer, it is important to get a holistic view of your funnel. Analyzing HubSpot content marketing results alongside advertising, web analytics and sales data in one dashboard allows you to do just that. If you are a business analyst or decision maker, it is essential that you are able to analyze data fluently and effectively. 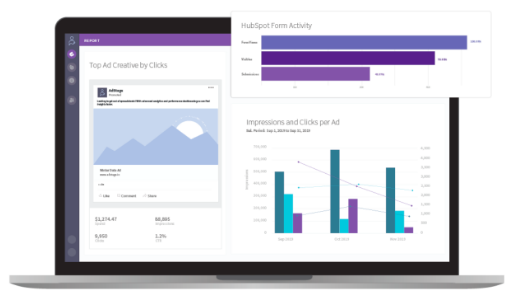 The Power BI connector’s simple point and click setup and prebuilt template will help to simplify the challenge of visualizing data from various sources, including HubSpot. As an inbound marketer, you often work to turn strangers into customers and promoters of your business. Yet how can you capture, convert and delight customers, when you don't know enough about them? 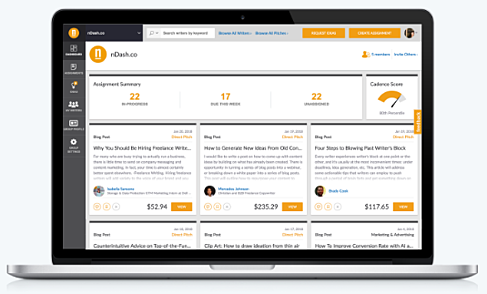 With the Survicate + HubSpot integration, you will gain more insights into your leads. 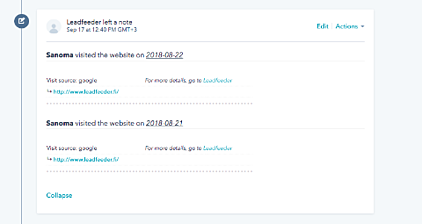 Leadfeeder shows you which companies are visiting your site, how they found you, and what they’re interested in - all via your existing Google Analytics. As a marketer, content creation is always top of mind - you can never generate enough quality, inbound content, and it can often be a roadblock, especially if you are on a team in need of more resources. nDash can help you generate compelling topics and ultimately streamline the content creation workflow to be more effective and efficient. 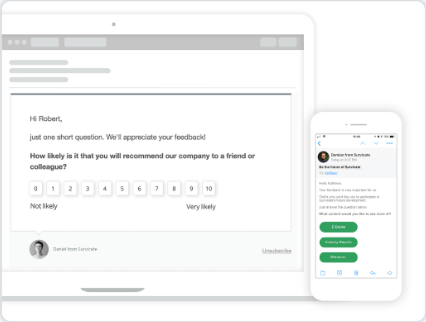 Outgrow is a tool to build calculators, product recommendations, quizzes, polls, chatbots and assessments. You and your team might be looking to better acquire, qualify and segment leads within HubSpot. Creating personalized, interactive content is a great way to add real value to the customer, enable new levels of customer engagement and generate useful data that you can use to qualify and segment leads.